....and pretty much any area with excess fat that can be pinched. Note that certain body areas - such as chin and thighs - need special CoolSculpting applicators which not all CoolSculpting practitioners may have. 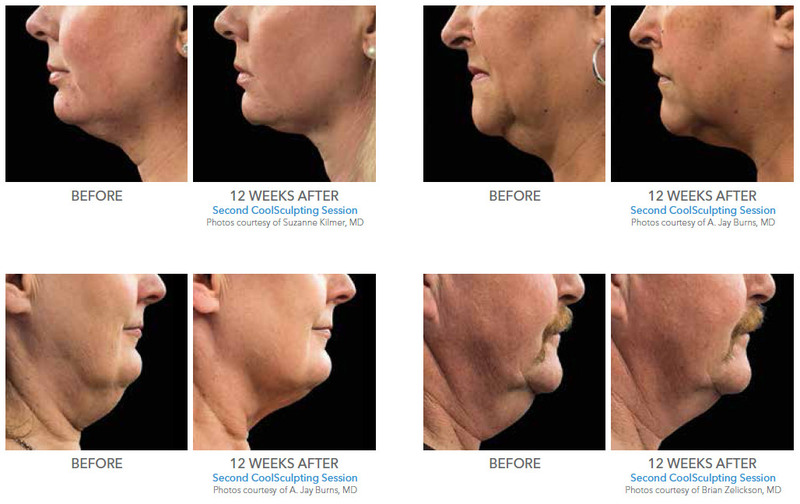 CoolMini - New treatment area - get rid of chin fat! Accumulation of fat under the chin can be a result of lifestyle, age or genetic factors and -- unlike other common problem areas of the body -- it cannot be hidden or disguised with clothing. average of 20% fat reduction. 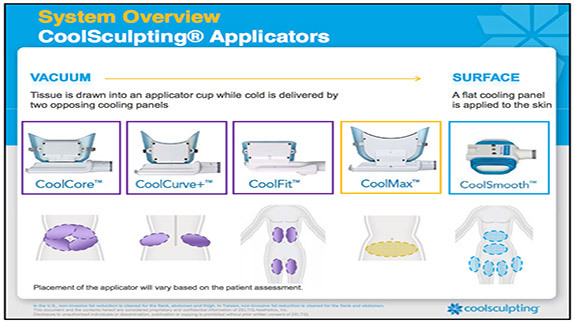 (2) This is in line with results achieved with other CoolSculpting applicators. Additionally, no significant adverse events were observed and patients experienced little to no discomfort or downtime. 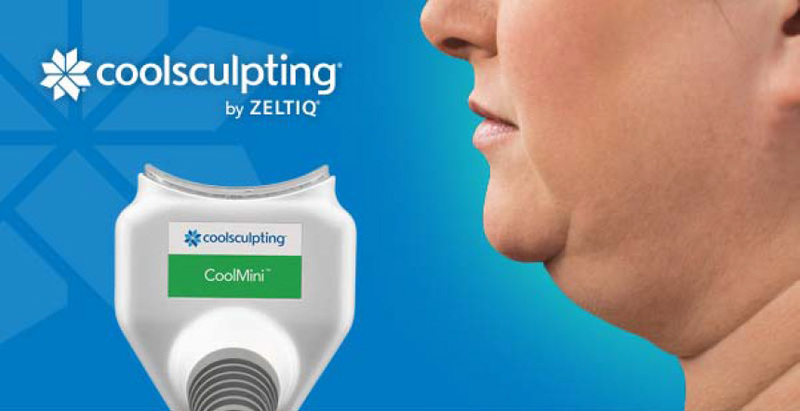 The new CoolMini applicator is uniquely designed for small volume areas of fat. The applicator's size, shape and curvature is designed to comfortably fit these small, problem areas. 1. American Society for Dermatologic Surgery 2015 Consumer Survey on Cosmetic Dermatologic Procedures. 2. Data on file. ZELTIQ Aesthetics, Inc. See full FDA approval letter.